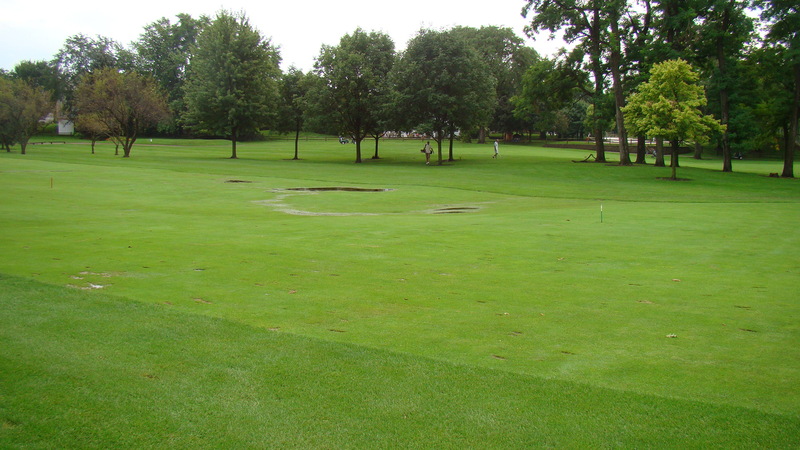 It’s safe to go out and play golf….we get another 2″ (just shy) of rain in barely one hour’s time! 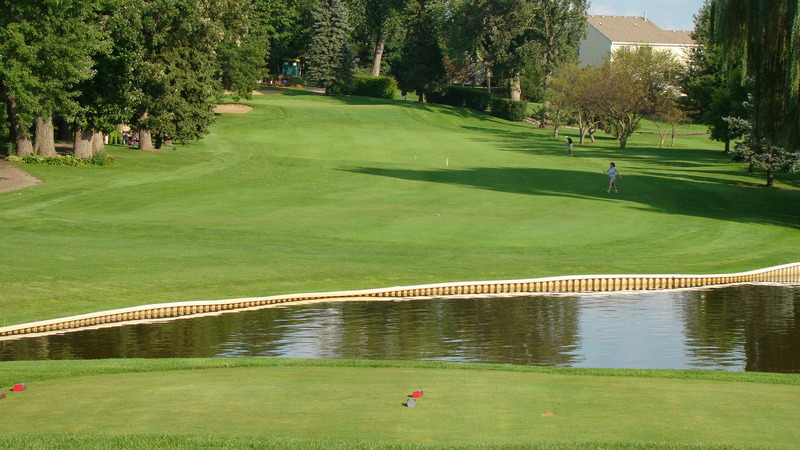 Hilldale is open for play, and although there was originally more rain in the forecast for Sat. evening, the updated (5:30 p.m.) future radar looks like Hoffman Estates should be rain free through the night. And of course tomorrow looks to be a glorious day (79 deg., sunny, and less humid. Carts must stay on cartpaths at all times and it’s hard to foresee that changing until Monday (8/22). We did have a chance to dry out some this week after receiving .5″ of rain last Sat. evening (8/13), so at least the ground wasn’t overly saturated prior to today’s moisture. Again, the bunkers took a major beating from the heavy rainfall. So for what seems like the upteenth time this summer, the major focus for the grounds department will be dealing with washed out bunkers. Carlos was a huge help this afternoon as all water has been removed from the front nine bunkers, and tomorrow we’ll deal with water in the back nine traps. As many of you know and have graciously commented on, I’ve been extremely pleased with the condition of Hilldale’s greens this summer. 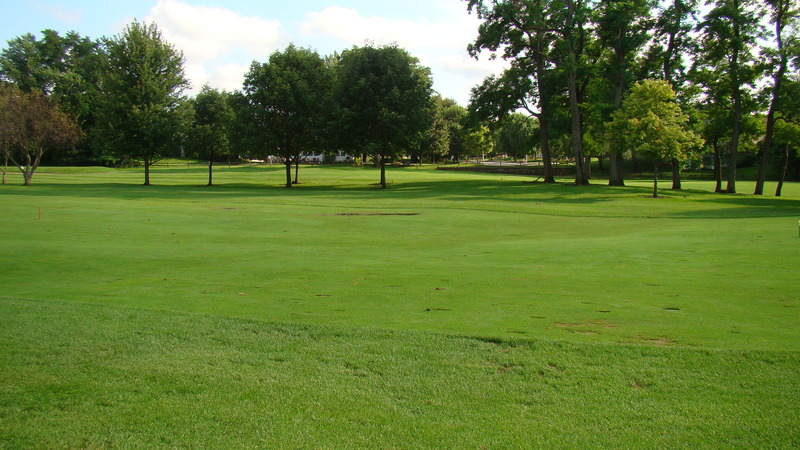 Considering the amount of heat, humidity, and rainfall the past six weeks…it’s hard to imagine the putting surfaces coming through the stress season in any better shape. With cooler nights and hopefully drier weather ahead, I see no reason why greens conditioning practices can’t be very aggressive well into the fall months. Stimpmeter readings were consistently above 11 ft. this morning (prior to the rain of course) after double cutting and rolling. It’s hard to say if the greens will firm up enough overnight to employ the same practices tomorrow, but that is the hope right now. Thanks for coming out to Hilldale. This entry was posted on Sunday, August 21st, 2011 at 12:00 am and is filed under Uncategorized. You can follow any responses to this entry through the RSS 2.0 feed. You can leave a response, or trackback from your own site.